The 2012 NWO Agenda ~ Warning America!! America has sold its soul.........now it is time to take it back and embrace truth as the foundation of our national character. We allowed a false dream to keep us asleep and in the process we let an elite few take our wealth. This is the time to stand up and dismantle the allusion of Democracy and a Government by and for the people. The Corporations have stolen our national treasure. The old must pass away so the Brotherhood of Man can manifest. Big Brother in Basel: Are We Trading Financial Stability for National Sovereignty? “Could the ‘boot’ be the new eighteen-story Bank for International Settlements (BIS) which was completed in Basel, Switzerland, in 1977 in the shape of a boot, and became known as the‘Tower of Basel’?" That helps explain the alarm bells that went off among BIS-watchers when the Bank was linked to the new Financial Stability Board (FSB) President Obama signed onto in April. When the G20 leaders met in London on April 2, 2009, they agreed to expand the powers of the old Financial Stability Forum (FSF) into this new Board. The FSF was set up in 1999 to serve in a merely advisory capacity by the G7 (a group of finance ministers formed from the seven major industrialized nations). The chair of the FSF was the General Manager of the BIS. The new FSB has been expanded to include all G20 members (19 nations plus the EU). The G20, formally called the “Group of Twenty Finance Ministers and Central Bank Governors,” was, like the G7, originally set up as a forum merely for cooperation and consultation on matters pertaining to the international financial system. But its new Financial Stability Board has real teeth, imposing “obligations” and “commitments” on its members. Draghi was director general of the Italian treasury from 1991 to 2001, where he was responsible for widespread privatization (sell-off of government holdings to private investors). From January 2002 to January 2006, however, he was a partner at Goldman Sachs on Wall Street, another controversial player. As already noted, “basing” the FSB at the BIS is not a comforting sign, considering the dark and controversial history of the BIS. Dr. Cuddy, writing in 1999, quoted media sources describing the BIS and its behind-the-scenes leaders as “this economic cabal . . . this secretive group . 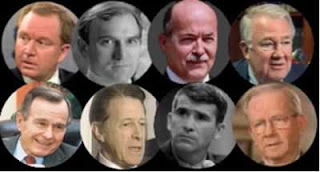 . . the financial barons who control the world’s supply of money” (Washington Post, June 28, 1998); “some of the world’s most powerful and least visible men . . . officials able to shift billions of dollars and alter the course of economies at the stroke of a pen” (New York Times, August 5, 1995); men who can “move huge amounts of money into and out of markets in a nanosecond” and “topple politicians with the click of a mouse” (ABC’s “Nightline,” July 1, 1998). The IMF is an international banking organization that is also controversial. Joseph Stiglitz, former chief economist for the World Bank, charges it with ensnaring Third World countries in a debt trap from which they cannot escape. Debtors unable to pay are bound by “conditionalities” that include a forced sell-off of national assets to private investors in order to service their loans. The term “systemically important” is not defined. Will it include such systemically important institutions as national treasuries, and such systemically important markets as gold, oil and food? In some contexts, information-sharing is called illegal collusion. Would the information-sharing here include such things as secret agreements among central banks to buy or sell particular currencies, with the concomitant power to support or collapse targeted local economies? Consider the short-selling of the Mexican peso by collusive action in 1995, the short-selling of Southeast Asian currencies in 1998, and the collusion among central banks to support the U.S. dollar in July of last year – good for the dollar and the big players with inside information perhaps, but not so good for the small investors who reasonably bet on “market forces,” bought gold or foreign currencies, and lost their shirts. We learn that members are required to provide a “picture of the structure and finances of government” that is complete enough for an assessment of its “soundness” -- but an assessment by whom, and what if a government fails the test? Is an unelected private committee based in the BIS allowed to evaluate the “structure and function” of particular national governments and, if they are determined to have fiscal policies that are not “sound,” to impose “conditionalities” and “austerity measures” of the sort that the IMF is notorious for imposing on Third World countries? The wary might wonder if that is how the mighty United States is to be brought under the heel of Big Brother at last. For three centuries, private international banking interests have brought governments in line by blocking them from issuing their own currencies and requiring them to borrow banker-issued “banknotes” instead. “Allow me to issue and control a nation’s currency,” Mayer Amschel Bauer Rothschild famously said in 1791, “and I care not who makes its laws.” The real rebellion of the American colonists in 1776, according to Benjamin Franklin, was against a foreign master who forbade the colonists from issuing their own money and required that taxes be paid in gold. The colonists, not having gold, had to borrow gold-backed banknotes from the British bankers. The catch was that the notes were created on the “fractional reserve” system, allowing the bankers to issue up to ten times as many notes as they actually had gold, essentially creating them out of thin air just as the colonists were doing. The result was not only to lock the colonists into debt to foreign bankers but to propel the nation into a crippling depression. The colonists finally rebelled and reverted to issuing their own currency. Funding a revolution against a major world power with money they printed themselves, they succeeded in defeating their oppressors and winning their independence. Political colonialism is now a thing of the past, but under the new FSB guidelines, nations can still be held in feudalistic subservience to foreign masters. Consider this scenario: XYZ country, which has been getting along very well financially, discloses that its national currency is being printed by the government directly. The FSB determines that this practice represents an impermissible “merging of the public and private sectors” and is an unsound banking practice forbidden under the “12 Key International Standards and Codes.” Banker-created national currency is declared to be the standard “good practice” all governments must follow. XYZ is compelled to abandon the “anachronistic” notion that creating its own national currency is a proper “function of government.” It must now borrow from the international bankers, trapping it in the bankers’ compound-interest debt web. Consider another scenario: Like in the American colonies, the new FSB rules precipitate a global depression the likes of which have never before been seen. XYZ country wakes up to the fact that all of this is unnecessary – that it could be creating its own money, freeing itself from the debt trap, rather than borrowing from bankers who create money on computer screens and charge interest for the privilege of borrowing it. But this realization comes too late: the boot descends and XYZ is crushed into line. National sovereignty has been abdicated to a private committee, with no say by the voters. Was Orwell Just 25 Years Too Early? Constitute a Commercial Treaty Requiring a 2/3 Vote of the Senate. Article II, Section 2 of the United States Constitution grants power to the President to make treaties only with the “advice and consent” of two-thirds of the Senate. The Constitution does not expressly provide for any alternative to the Article II treaty procedure. However, historically the President has also made international “agreements” through congressional-executive agreements that are ratified with only a majority from both houses of Congress, or sole-executive agreements made by the President alone. A congressional-executive agreement can cover only those matters which the Constitution explicitly places within the powers of Congress and the President; while a sole-executive agreement can cover only those matters within the President’s authority or matters in which Congress has delegated authority to the President. A sole-executive agreement can be negotiated and entered into only through the President’s authority (1) in foreign policy, (2) as commander-in-chief of the armed forces, (3) from a prior act of Congress, or (4) from a prior treaty. Agreements beyond these competencies must have the approval of Congress (for congressional-executive agreements) or the Senate (for treaties). If an international commercial accord contains binding “treaty” commitments, then a two-thirds vote of the Senate may be required. Even with a two-thirds Senate vote, before Congress gives its approval it should draft legislation ensuring that the checks and balances imposed by our Constitution are built into the agreement. This could be done by implementing a legislative counterpart to the FSB with full oversight and corrective powers. The legislatures of the member nations could be required to elect a representative body to provide oversight and take corrective measures as needed, with that body’s representatives answerable to their national electorates. Orwell’s 1984 made the news again in April 2009, when Queen Elizabeth chose the book as her ceremonial gift for visiting President Felipe Calderon of Mexico. Calderon, who crushed riots with boot-like severity after he was accused of vote-rigging to steal the election from his populist opponent, was said to be an admirer of Orwell’s work. The event provoked suspicions that 1984 had been covertly chosen by a modern-day financial oligarchy as the inspirational model for implementing Big Brother globally. The book ends with the protagonist Winston tortured and brainwashed into accepting the party line. We need to act quickly and decisively to ensure that its historical counterpart has a happier ending. Ellen Brown developed her research skills as an attorney practicing civil litigation in Los Angeles. In Web of Debt, her latest book, she turns those skills to an analysis of the Federal Reserve and “the money trust.” She shows how this private cartel has usurped the power to create money from the people themselves, and how we the people can get it back. Her earlier books focused on the pharmaceutical cartel that gets its power from “the money trust.” Her eleven books include Forbidden Medicine, Nature’s Pharmacy (co-authored with Dr. Lynne Walker), and The Key to Ultimate Health (co-authored with Dr. Richard Hansen). Her websites are http://www.webofdebt.com/ and http://www.ellenbrown.com/. We are living in exceptional times. Scientists tell us that we have 10 years to change the way we live, avert the depletion of natural resources and the catastrophic evolution of the Earth's climate.The stakes are high for us and our children. Everyone should take part in the effort, and HOME has been conceived to take a message of mobilization out to every human being.For this purpose, HOME needs to be free. A patron, the PPR Group, made this possible. EuropaCorp, the distributor, also pledged not to make any profit because Home is a non-profit film.HOME has been made for you : share it! And act for the planet. We have the ability to create the world we want........all comes from within and the universe is our collective reflection. We project, through our emotional body, that which we are, either full of fear and upset or radiating love and compassion, our higher self. Let us send our collective energy up and connect all of hue-man-ity to the Earth Grid. 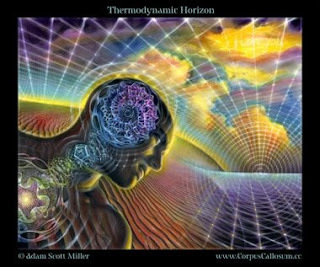 When we project our collective consciousness and charge up the grid we will break the hold the fear based consciousness has over us and the Matrix they control. We have the power if we will just recognize it and take collective ACTION. All the money, all the technology, all the military power is meaningless when we undertstand that the matrix is controlled by our collective consciousness. We have the ability to project our 3D Contruct, the true power is within us. My meditation is for our collective ascension to full light body activation. We must DYOR (Do Your Own Research) and come to our own Truth. I knew they were keeping the truth from us, intuitively. I came into the world and knew the truth on a higher dimensional level. Now we must share what we know with others so they too can experience the wonder of this age and our role in it. Our founding fathers bestowed upon the United States citizen a personal responsibility that transcends our fundamental rights spelled out in our United States Constitution. “We the People of the United States, in Order to form a more perfect Union, establish Justice, insure domestic Tranquility, provide for common defense, promote the general Welfare, and secure the Blessings of Liberty to ourselves and our Posterity, do ordain and establish this Constitution for the United States of America”. The words in our Constitution sets up a system of checks and balances that seek to protect us from those in authority who may from time to time exert power and control in the furtherance of their agenda(s) and objective(s). We are to be eternally vigilant in our responsibility to hold these men and women not only to the words spelled out in this sacred document but also to the spirit contained within it. Those citizen soldiers, who are the true Patriots of this great nation, must when called upon, stand firm and tall in service to the nation. Service to protect our way of life and our Constitution from those who would do us harm, both foreign and domestic. One must be willing to put personal interests aside and second to the interests of the collective whole. The time has come for all true Patriot’s to say; “it’s not okay” and to raise our voices in unison, to hold our public servant’s accountable for their unconstitutional, illegal acts. The whole of the United States Government is complicit in these acts, the President of the UNITED STATES, Executive branch, Senate, Congress and Judicial branch of our government. We as a people have been let down by our elected and appointed governmental officials through their action and inaction to uphold their sacred oath of office, to preserve, protect and defend the Constitution of the United States of America. We, as the people and good citizens of this Rrepublic must accept our responsibility for this current state of affairs. One must come to a place in our understanding and reach a point where it becomes self evident that all men are created equal and none are above the law. If we sit back and do nothing, when our public servants subvert the constitution and break the law, then we too become complicit within the context of the law spelled out in our constitution. Those citizen soldiers that pontificate and do nothing to right this wrong need only go back to sleep and pretend it will fix itself. Power unchecked only leads to more unchecked power and control. Those criminals, who continue in power, can only continue when the citizen chooses to allow them to further their agenda outside of the checks and balances spelled out in our constitution. The history of liberty and personal freedom is a very short one and must be understood if one is to enjoy the rights contained within our founding documents. This is a great experiment in liberty and justice for all. One must not lose sight of the fact that it is a relatively short experiment and the forces at work, to disassemble our rights and privileges, as citizens of these United States, are well organized and very powerful. They possess not only financial resources but the full spectrum of tools to crush any and all opposition to their plan. “We the people”, are all of us, right here and right NOW. We are not historical words on a piece of parchment but rather living, breathing human beings. We must stand up now and say enough is enough, or we fold and allow the dismantling of our sovereign rights as a nation and as sovereign individuals. It is time to raise our voices and take responsibility back from the few that we entrusted to protect us. They have not lived up to their oath of office and we have not held them accountable for their acts and their failure to meet their responsibility. As long as we fail to take personal and collective responsibility for the situation we now find ourselves we will continue to reap what we sow. It is not too late to act. We must have the will and the fortitude to see this great land cleansed of those in power who have put their own self interests and their agenda ahead of the common good. We the people must stand tall and take back our great nation from those who have failed to protect us from the subversion of our constitution. It is time to take legal action to reassert our fundamental rights guaranteed by our constitution. Only a few, in congress, have had the inspirational insight to press for a return to our Constitutional Democracy, Dennis Kucinich, Ron Paul and a few others. In spite of their leadership our constitution has not been protected due to a lack of true leadership, both Democratic and Republican. In truth the Congress is asleep at the wheel and scared to act. They have put their personal ambition and security ahead of the people’s best interest. We as citizens must seek legal recourse, through the courts, and move to hold our public servants accountable for their failure to preserve protect and defend the Constitution of the United States. The threat from within is far more dangerous than a threat from an outside power. We now find ourselves literally losing our constitution, our way of life, to a group of like minded men and women who think it best to govern from the top down and not from the bottom up. They have an elitist model that dictates a new world order. They have failed to recognize that under our Constitution, they are the people’s servants and not our masters. The Project for a New American Century, PNAC is a document that has spelled out an agenda for full spectrum power and control. It is predicated on the notion that the United States has the right to exert its full power in the pursuit of its perceived interests spelled out by a few men in the name of the whole nation. This globalist policy is being executed in our name without our informed consent. We have allowed these men to take control of our nation and subvert our ideals in the furtherance of their quest for full spectrum power and control. This must come to an end. Sadly they are consumed with their own success. One can get lost in the details. The fact is we must be willing to take a second look and uncover the truth even when it hurts deeply. No one wants to believe the worst and it can be very upsetting when one finds out something terrible is going on. We must grow up as a nation and face the fact that crimes have been committed and the people responsible must be held accountable. Many years ago when I was a young man, in my early twenties, I took a chance and chose to involve myself in an illegal, marijuana business. I was a very energetic well meaning man and was a risk taker. Science has identified a gene that is handed down from generation to generation that drives some people to take risks that many would choose not to. Many of our founding fathers carried the same gene and chose to involve themselves in the smuggling business. John Hancock was one of these men. Hancock was a successful wine merchant known throughout the colonies as “The Prince of Smugglers.” His reputation eventually earned him the honor of being the first to sign the Declaration of Independence. Many smuggled alcohol, tobacco, tea and other taxable goods. They also put their lives on the line in the founding of this great nation risking their fortunes, their lives, their liberty and their freedom, in their pursuit of freedom and justice for all. I was investigated for three years, indicted for running a Continuing Criminal Enterprise, CCE 848, and served time in federal prison for my illegal acts. I faced my accusers, I plead guilty to my crimes and I served my time in order that I could enjoy the freedoms this great nation has to offer. I learned the rule of law applies to all citizens regardless of their station in life, color of ones skin, political persuasion or elected position. I learned that we are all created equal and no man is above the law, or so I thought. In truth there are many ideals that we fight for and yet in practice we fall far short of those ideals. We must continue to reach for those ideals or they mean absolutely nothing at all. They are reduced to just words on a piece of paper. If we don’t fight for them then we are as bad as the criminals who exert their power and control over us manipulating them for their own gain. I broke the law as a youth and I paid dearly with the loss of my freedom serving eight years in federal prison. I lost my family, my home and my fortune. I lost time with three young sons and they lost time with their dad. I paid the price demanded of me and I was man enough to own up to my illegal acts and face my accusers. I did not run and hide or corrupt the system to further my own ambition; I owned up to my criminal acts and completed all that was required of me. My debt to society has been paid in full. How do we hold others accountable for their illegal acts? I would suggest we convene a Grand Jury made up of citizens who hold our constitution sacred and worth every drop of blood that has been shed protecting it from threats both foreign and domestic. There comes a time when men and women must stand up and be counted. Now is one of those times. Our nation must be taken back by the people for the people and do it within the law spelled out in our constitution. We must reinstate the rule of law. The U.S. Patriot Act, passed after the 9/11 operation, was executed by elements within our government who have an agenda for full spectrum power and control both here at home and throughout the world. They have cloaked this act as a needed measure to protect us from an outside threat. In truth the threat is from within and is the complete subversion of our constitution. When one takes a hard look at the 9/11 operation it has all the elements of a false flag operation and seems all too real. When one studies the Kennedy assassination along side the 9/11 incident and realizes the level of manipulation perpetrated on the American people, both operations utilized the same techniques of trauma based mind control. The perpetrators are masters at manipulating the public and creating a false reality. It does not matter if you believe the government’s conspiracy theory-version of the events on 9/11 or if you are a member of the 9/11 truth movement. Either way they have manipulated the public into believing that the U.S. Patriot Act is legal and enacted to protect us from an outside threat. In truth it has completely trashed Article [IV] of our constitution; “The right of the people to be secure in their persons, houses, papers and effects, against unreasonable searches and seizers, shall not be violated, and no Warrants shall issue, but upon probable cause, supported by Oath or affirmation, and particularly describing the place to be searched, and the persons or things to be seized,” and thrown out Habeas Corpus, “The Privilege of Habeas Corpus shall not be suspended, unless when is Cases of Rebellion or Invasion the public Safety may require it”. Since the 9/11 event was a false flag operation, to further their agenda for full spectrum power and control, then it should cause all of us to take a second look and hold each elected official accountable for their actions on that fateful day. If they failed to protect us and act then they need to give an account. If they were a part of the operation either as an intelligence agent, military officer, elected official or on any other level then they need to be put under oath to give an account and be brought to justice. If they were a part of the cover up, on any level, then we need to uncover the truth and put all the facts on the table. If it means giving immunity to the lower level people involved, in order to bring the true masterminds and perpetrators to justice then we need to act decisively and bring this national tragedy to a close. We must not fail to act; we must be mature enough to face the truth and come to terms with this national tragedy. The National Security Act has been in place since 1947. President Truman failed to foresee the damage that would be done, to the nation, in the name of National Security. We now are faced with a government apparatus that hides behind the cloak of secrecy and a false classification to hide its misdeeds. National security is invoked for every misdeed and utilized to hide both real national security issues and those that are kept hidden from the public for criminal purposes. The Iran Contra/CIA Cocaine/Mena Airport conspiracy was a classic illegal operation that was run from the Reagan White House under the direction of George H.W. Bush when he was Vice President. Ollie North and the operation to trade arms for hostages was only one side of the equation. The big story was the cocaine operation run for the benefit of raising large sums of cash to finance Black/Operations and should be understood in those terms. If we allow our government to utilize the National Security Act, as a cover for their illegal operations against the American people and the people of the world, then we are as guilty as those in authority. The utilization of the national security act to cover up illegal operations and to keep the public in the dark is an illegal use of the act and those who have perpetrated this system must be uncovered and held accountable. The rule of law is subverted by the use of this act and we must demand that it stop or we allow it to happen. Citizen solders must stand together and hold this government accountable from the lowest member to the highest, including the President of the UNITED STATES, the National Security Council, the membership of the Senate and Congress and our Judicial branch of government. No man or woman is above the law, no one. If we think it right and just to lock up petty criminals and yet we allow the highest governmental officials to get off without having to give an account for their crimes then what kind of a nation are we? I suggest we are a nation of cowards who have failed to live up to our responsibility as citizens of this great republic. We fail not only ourselves but we fail future generations to come. I come from a family of West Point graduates who have been entrusted with a higher degree of responsibility to protect this great nation from enemies both foreign and domestic. Sometimes we the people are all called to step foreword and put aside our own personal interests and seek a higher standard within the context of our collective reality. This is something each person must either face and take corrective action or choose to stay silent, at our collective peril. Major General Albert Stubblebine, West Point Class of 1952, United States Army, retired, is one such patriot. Dr. Stephen E. Jones, Physicist and Professor of Engineering, BYU, Lt. Col. Robert Bowman, PhD, Director of Advanced Space Programs Development under Presidents Gerald Ford and Jimmy Carter. Lt. Col. Karen Kwiatkowski, A Pentagon eye-witness and a former member of the staff of the Director of the National Security Agency, Michael Chossudovsky, Professor of Economics, University of Ottawa and Paul Craig Roberts, PhD, Assistant Secretary of the Treasury, Reagan Administration are also true patriots. All of these men and women have stepped foreword to address the inconsistencies within the government’s version of the events on 9/11. The fact that each man and woman has taken the time to study the 9/11 incident and come to a much different conclusion, than the governments version, is compelling but what is really compelling is the personal price each person has paid in service to their country. They are like many of us; they are directed and led by a higher standard. They have put their good name and careers on the line in the search for truth. I commend each and every one of us that finds the courage to seek the truth whether it is the 9/11 incident, Iran Contra, the war in Iraq or any other difficult issue we confront in life. We are now in a time of revealing. We have within our grasp an understanding that has been long overdue. As we come to the realization that something is terribly wrong and needs to be dealt with we must not lose our balance or our focus. We must press forward in our search for truth and make the hard choices that need to be made and we must hold our public servants accountable for the current state of affairs. "Since the financial crisis hit in September, Naomi has been warning that the real shock was yet to come. "Unless we get a good deal" on the bailouts, Naomi wrote back in October, "there will be nothing left over after the banks are done feeding to pay for the meager services now provided in exchange for taxation. The spiraling cost of saving Wall Street from its bad bets is already being used as an excuse for why we can't solve our many other crises, from health care to climate change." In California, the real shock has arrived with the state's devastating budget crisis and unprecedented spending cuts. Read the post by Avi Lewis below about California and then click on the links to watch his incredible half-hour documentary." Now is the time for the people to assert our sovereignty, act responsibly, prepare, and waken from our slumber. May I suggest we peacefully protest for change, act like good stewards and put up food and a clean water source for the winter. I can assure you the winter is fast approaching and if the squirrels are smart enough to gather supplies for the coming "Cold" months then we as thinking "Intelligent Life in the Universe" must follow their lead. It is not rocket science to understand we are in trouble. That means it is incumbent on all of us to help wake up our brothers and sisters, fellow Hue-Man family, (Hue: Light Spectrum Man, Family). I encourage all reading this Blog to share it with others, go to our new website; www.thriverightnow.com and be prepared for whatever might transpire over the next few months and years. This age has been spoken of by the Prophets. Do we have ears to hear and eyes to see? Are we able to discern the signs and awaken from our dream? The time for sleeping is over. Now is the time for Action! Be the Buddha, awaken from the dream. Be the Christ, have no fear. Be the good servant; help your family, friends and neighbors, help those who are asleep to rise up and prepare for the coming storm. Actually the storm is here.............are we too asleep to notice? We have been working dilligently on our new website www.thriverightnow.com and expect to have it launched and able to help others meet their bulk food, alternative power, back up power, water filters, and much more. Please check back with us and see how we might help you Thrive Right Now. Nobody likes to deal with Dark Conspiracy Theories and yet with the Iran Contra, we can be honest with ourselves and uncover the truth in our government, or we can choose to stay asleep and carry on as if our leaders are truthful. It becomes self evident, when one does their own research that something very sinister is being executed in our name and without our informed consent. It is time to unmask the Dark Side conspiracy theories and sort through what is theory and what is fact. Congress, by a decisive vote, decided in the late 1980’s, that the United States would not support the Contra’s fighting in Nicaragua. President Reagan decided to organize imaginative ways to subvert the vote and set up a covert and illegal support network in opposition to the will of the Congress. The plan was organized and executed in the Reagan/Bush White House in opposition to the Bolland amendment. The Bolland amendment prohibited use of USG funds to finance the "Contras." In June of 1984, the President and Vice President, Ronald Reagan, and George H.W. Bush, and their top aids discussed how to sustain the Contra’s in opposition to the Sandinista government, a democratically elected government in Nicaragua. The Congressional amendment prohibited any transfer of funds directly or indirectly so their hands were tied. Bush was the ex CIA Director and knew full well how to go around any congressional ban but the President and Vice President must be able to state firmly they were out of the loop in case anything went awry. This is exactly what both Reagan and Bush claimed when the scandal broke. It is the clean hands doctrine and something every intelligence agent is taught, deniability. When our elected officials justify a criminal conspiracy in the name of national security, they have crossed a line into unknown territory. They have taken our Constitutional system to a new level where anything goes and can be justified. Smuggling large multi ton loads of cocaine from central and south America into the continental United States for the purpose of raising large sums of cash, to feed an illegal war of aggression on the Nicaraguan people is beyond most peoples comfort zone. I can tell you as one who smuggled Marijuana and Hashish, cocaine is a completely different product. Cocaine is evil and turns good people into their dark side expression. Cocaine causes people to do things they would normally not do. Powdered cocaine turned into crack is deadly. The fact that George H.W. Bush could justify his cocaine operation in the name of National Security is criminal, period. It is well documented that our United States government is directly involved in the illegal drug business, both in the past and currently as a part of their war in Afghanistan. The Afghanistan drug operation helps to fund their war of aggression and supplies our CIA with large sums of cash to finance a covert war throughout the region. This is nothing new. During the Vietnam War in Vietnam, Cambodia and Laos, our CIA set up a large scale drug operation helping the Laotian tribesmen transport their heroin and set up new smuggle routes to the west. They addicted a whole generation of American kids to finance their illegal wars of aggression. Nobody likes to deal with Dark Conspiracy Theories and yet with the Illegal Drug Business, we can be honest with ourselves and uncover the truth in our government, or we can choose to stay asleep and carry on as if our leaders are truthful. It becomes self evident, when one does their own research that something very sinister is being executed in our name and without our informed consent. It is time to unmask the Dark Side conspiracy theories and sort through what is theory and what is fact. The modern illegal drug trade started many years ago when the British controlled the production and transportation of opium grown in India. 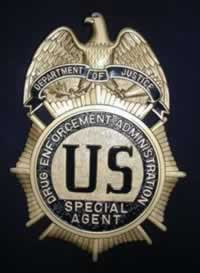 They organized the trade to raise large sums of cash for the world economy and in the process set the stage for the current illegal drug business. They also smuggled their opium into China and dumbed down a whole generation of people as a way to exert their power and control. The men who participated in the Iran Contra Operation were rewarded for their loyalty to Bush. He not only pardoned most of them for their illegal acts he also promoted them to even higher positions within the government. See the Nazification of our criminal government. Completed Trials and Pleas Elliott Abrams - Pleaded guilty October 7, 1991, to two misdemeanor charges of withholding information from Congress about secret government efforts to support the Nicaraguan contra rebels during a ban on such aid. U.S. District Chief Judge Aubrey E. Robinson, Jr., sentenced Abrams November 15, 1991, to two years probation and 100 hours community service. Abrams was pardoned December 24, 1992. Robert C. McFarlane - Pleaded guilty March 11, 1988, to four misdemeanor counts of withholding information from Congress. U.S. District Chief Judge Aubrey E. Robinson, Jr., sentenced McFarlane on March 3, 1989, to two years probation, $20,000 in fines and 200 hours community service. McFarlane was pardoned December 24, 1992. Richard R. Miller - Pleaded guilty May 6, 1987, to one felony count of conspiracy to defraud the United States. U.S. District Judge Stanley S. Harris sentenced Miller on July 6, 1989, to two years probation and 120 hours of community service. Pre-trial Pardons Duane R. Clarridge - Indicted November 26, 1991, on seven counts of perjury and false statements about a secret shipment of U.S. HAWK missiles to Iran. The maximum penalty for each count was five years in prison and $250,000 in fines. U.S. District Judge Harold H. Greene set a March 15, 1993, trial date. Clarridge was pardoned December 24, 1992. Dismissal Joseph F. Fernandez - Indicted June 20, 1988 on five counts of conspiracy to defraud the United States, obstructing the inquiry of the Tower Commission and making false statements to government agencies. The case was dismissed in the District of Columbia for venue reasons on the motion of Independent Counsel. A four-count indictment was issued in the Eastern District of Virginia on April 24, 1989. U.S. District Judge Claude M. Hilton dismissed the four-count case November 24, 1989, after Attorney General Richard Thornburgh blocked the disclosure of classified information ruled relevant to the defense. The U.S. Court of Appeals for the Fourth Circuit in Richmond, Va., on September 6, 1990, upheld Judge Hilton's rulings under the Classified Information Procedures Act (CIPA). On October 12, 1990, the Attorney General filed a final declaration that he would not disclose the classified information. The Zapruder Film: Truth or Deception?